At Mambo Mobile Bar we have travelled the world with our steamer trunk and mixed cocktails in far-flung places across the globe. Through experiencing the world and being a part of the hospitality industry from a young age, we have many quirky recipes to treat our customers to. Our mobile cocktail bar hire offers a full cocktail service no matter where your chosen venue may be. We can travel absolutely anywhere! Our mobile cocktail bars each provide all the cocktail essentials including bar equipment hire and glassware hire. 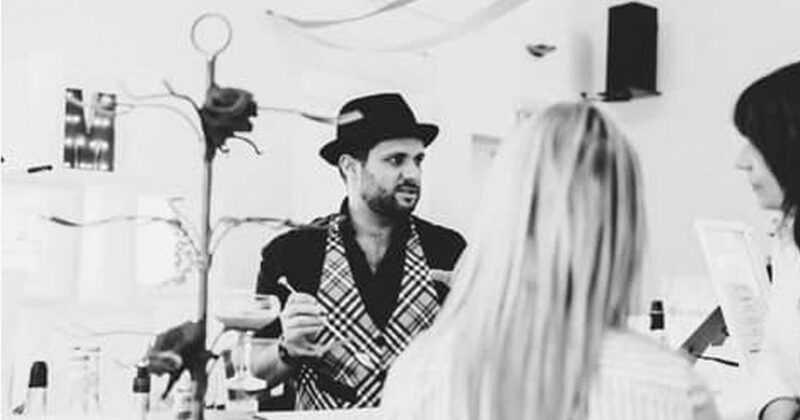 We have a range of unique bars, from vintage to Americano to the modern Italian light LED mobile cocktail bar, whether you need bar hire for an intimate indoor gathering or a late night garden party, Mambo can be sure to keep the drinks flowing. Mambo also offer mobile bar hire and bartender hire to a range of corporate events. Due to our mobile bars being able to be adapted for any setting, we can be sure to fulfil your guest’s needs. From exhibitions, conferences, charity events or product launches; we only serve using the finest ingredients and strive to provide a professional, high-quality service every time. As well as providing bar hire to both big or smaller special occasions and events, we also offer bar training. We truly have a passion for cocktail making and we love passing on our knowledge to other bar staff. We offer three levels of training: Basic Bar Service, Advanced Bar Service and Cocktail training. We can provide professional bar training at any level for your business needs, no need to worry about transport, we will happily travel to your business address. Remember, although we are based in the UK, we can provide mobile bar services across the UK and in London. To discuss hiring Mambo for your next event or if you would like to know more about training, please click here.